Actively participate in cross-team initiatives to help build our organization’s capacity. *Please note that only current Board Members are eligible to apply for this position. Each board member position reports to the YNPN Greater Bflo Board Co-Chairs and will require close collaboration with leadership across the organization. This is a great opportunity to develop skills in an area that you haven’t fully explored or to contribute your expertise. In addition to the incredible professional development opportunity that comes with taking ownership over a functional area of an organization and participating in the long-term strategic work of stewarding our mission, board members participate in networking and professional development meetings. Beyond skill-building, our leadership team is a network of over 15 like-minded, driven emerging leaders in WNY’s nonprofit community! Board members commit to serving a two-year volunteer term. Ambassadors on our leadership team increase our ability to achieve short and long term goals. Ambassadors take on leadership tasks and carry out strategic actions in specific areas. Together, board members and ambassadors make it all happen! This is a great opportunity to develop skills and experience, share your passion for YNPN Greater Bflo without a large commitment, and contribute your expertise. Ambassadors commit to serving a one-year volunteer term with YNPN Greater Bflo’s leadership team. We encourage all interested applicants to review the Board Member Expectations. If you are interested in becoming an ambassador, please review Ambassador Expectations. YNPN Greater Bflo is operated by the volunteer board of directors and ambassadors. There is no paid staff. Complete the online application by 11:59pm on Monday, May 13, 2019 for board member and ambassador positions. If you have questions about board member responsibilities and expectations, we encourage you to reach out to us to set up a time to talk more. Contact Jerome Singletary or Aurora Schunk at ynpngreaterbflo@gmail.com. 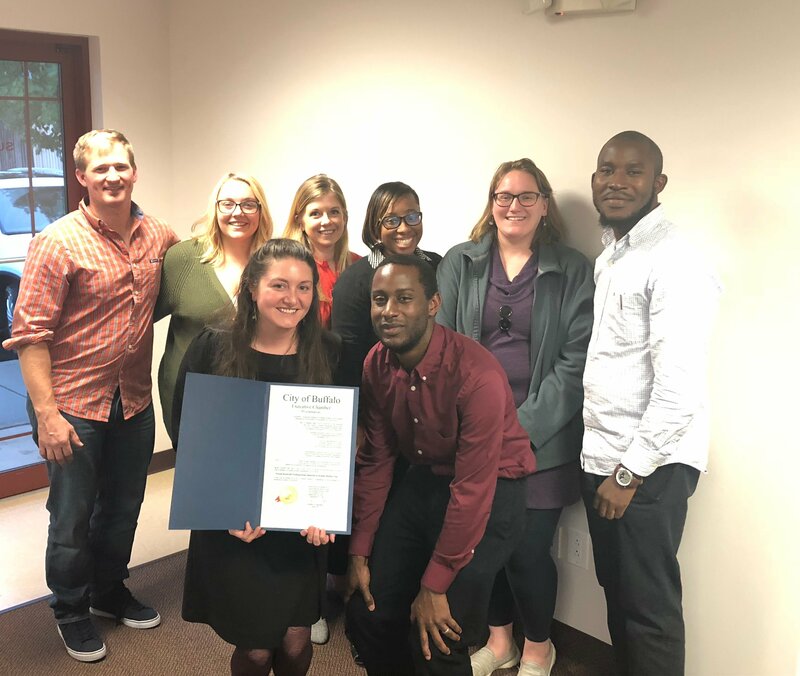 The local chapter of Young Nonprofit Professionals Network was founded in 2013 to provide support and resources for young professionals working in the Western New York nonprofit community. Since then, we’ve hosted networking and professional development events to bring these individuals together and introduce them to WNY area opportunities, and we’re connected with over 1,500 individuals through our listserv, social media, and events. Our mission is to strengthen the nonprofit community by serving as an inclusive and innovative resource for networking and growth to empower young professionals. YNPN Greater Bflo values diverse professional and personal experiences and perspectives. As an organization, we strive to be intentionally inclusive and to reflect the community we serve, and we encourage individuals from all backgrounds to apply for the YNPN Greater Bflo Leadership Team. Questions about the board member and ambassador application or process may be submitted to Jerome Singletary or Aurora Schunk, Board Co-Chairs, at ynpngreaterbflo@gmail.com with “Board Application” or “Ambassador Application” in the subject.